Welcome back to our Phoenix Beauty Lounge University! 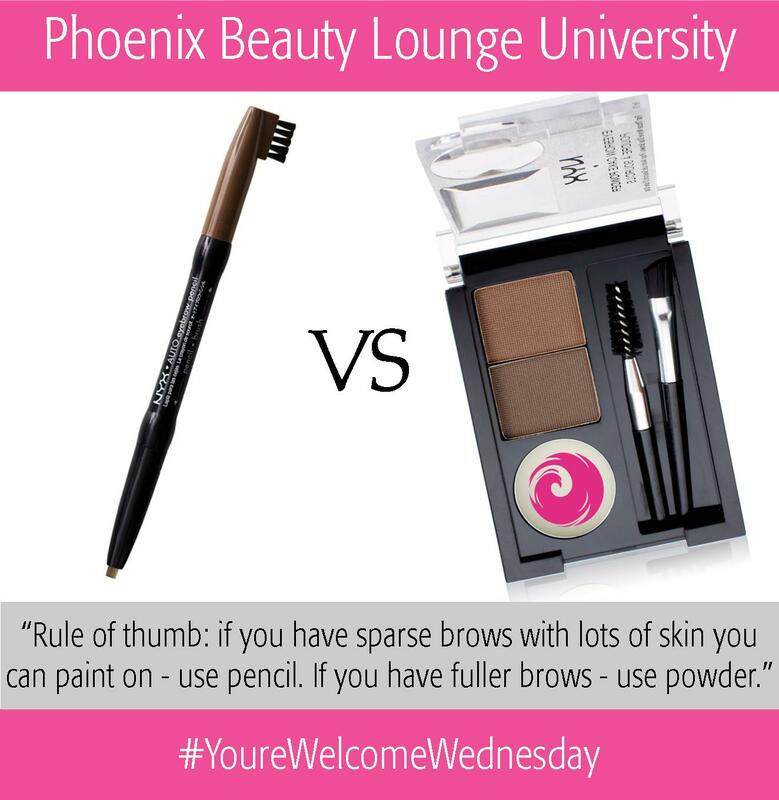 This entry was posted in #YoureWelcomeWednesday, Phoenix Beauty Lounge University, Tutorials and tagged beauty tips, brow pencil, brow powder, brow tips, eyebrow makeup, eyebrow tips, makeup tips, perfect brows, Phoenix Beauty Lounge University, www.phoenixbeautylounge.com, YoureWelcomeWednesday by phoenixbeautylounge. Bookmark the permalink.